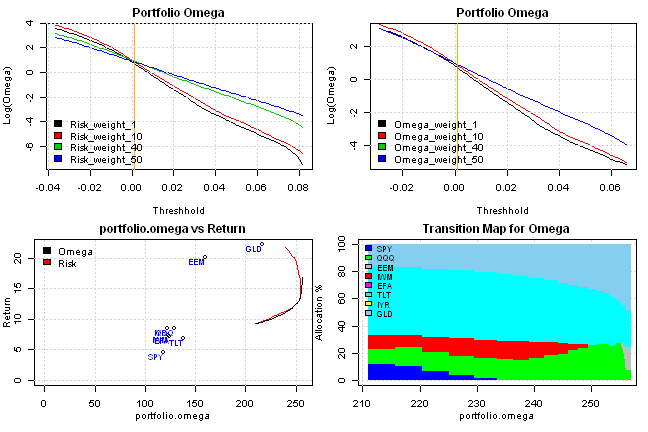 Please set threshold used in Omega calculations (i.e. 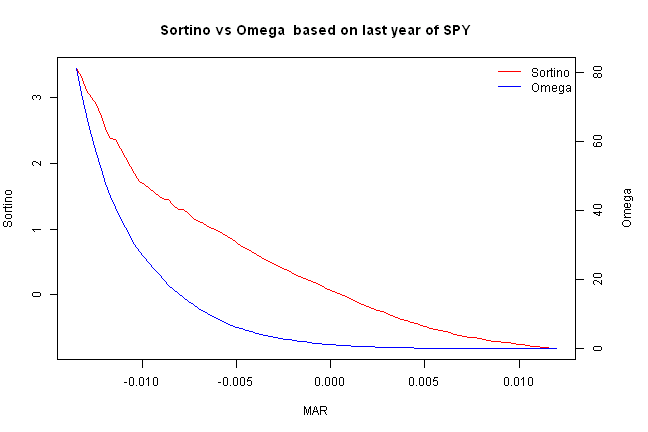 MAR) to a small number. 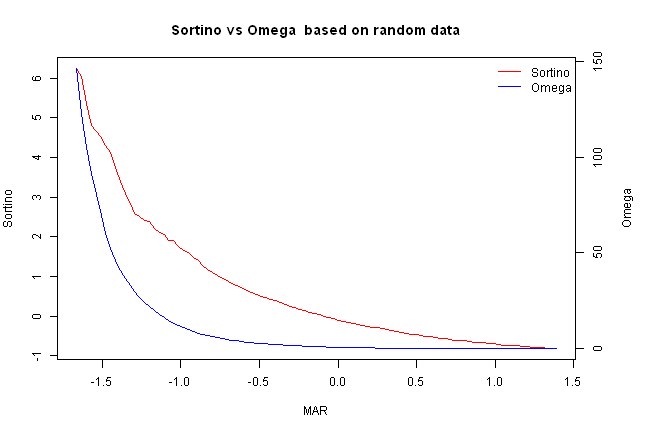 Otherwise, optimizer will be forced to find corner solutions and result in not stable weights. 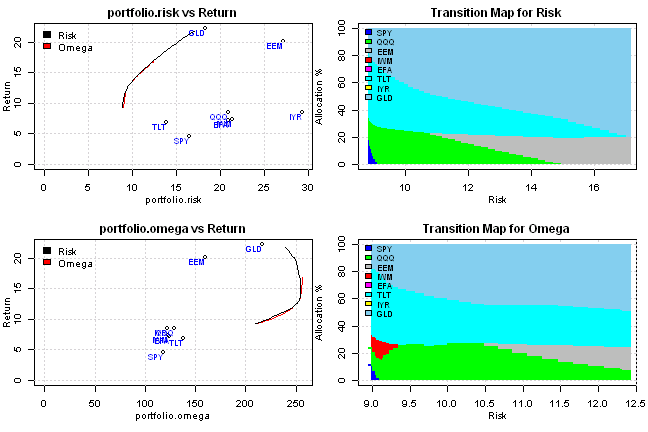 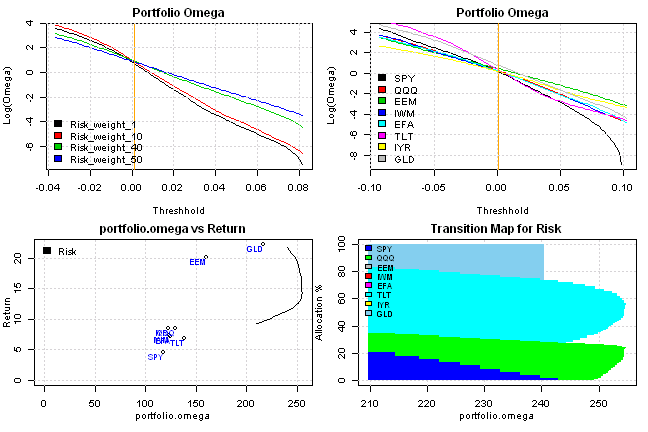 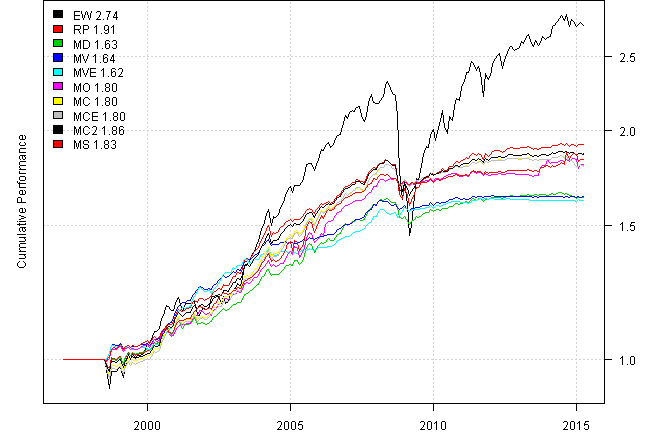 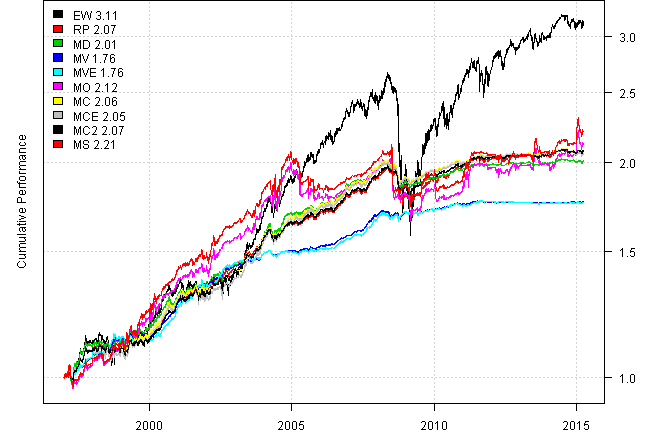 I will use methods presented in Optimizing Omega by H. Mausser, D. Saunders, L. Seco (2006) paper to construct optimal portfolios that maximize Omega Ratio.